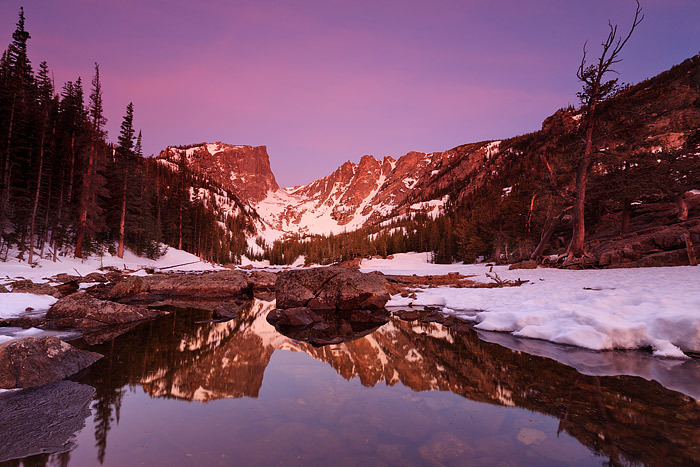 Dawn's pre-glow light bathes Hallet Peak, Flattop Mountain and Dream Lake in a soothing and surreal light. There is no wind on this early spring morning and Dream Lakes surface is as smooth as glass as the winter snows have begun to receed from the surface of the once covered Dream Lake. Photo © copyright by Thomas Mangan.